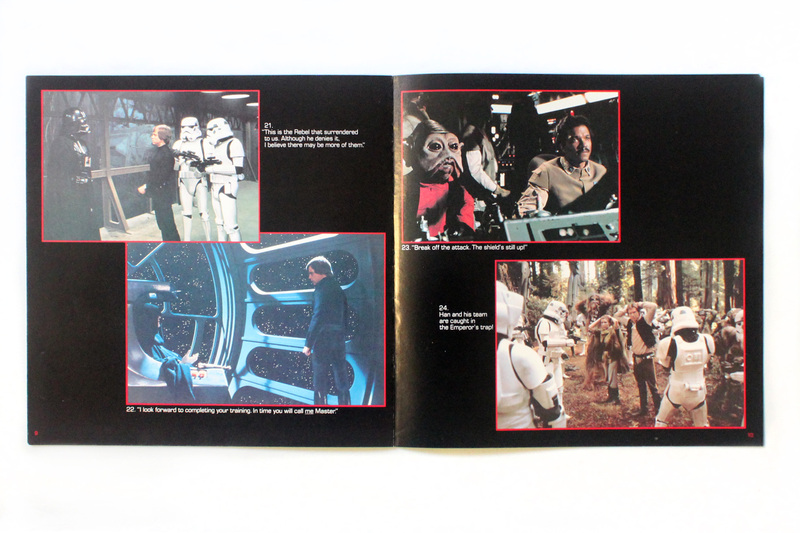 The accompanying photo book was nearly a full 12″ square, allowing for great internal images highlighting the key plot milestones as we followed along with the narration. 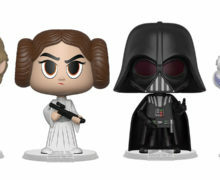 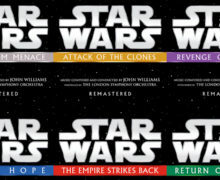 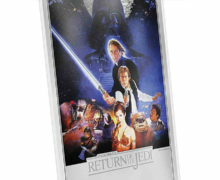 As with the other Original Trilogy installments, the audio was a mix of dialogue, sound effects, and music straight from the movie soundtrack. 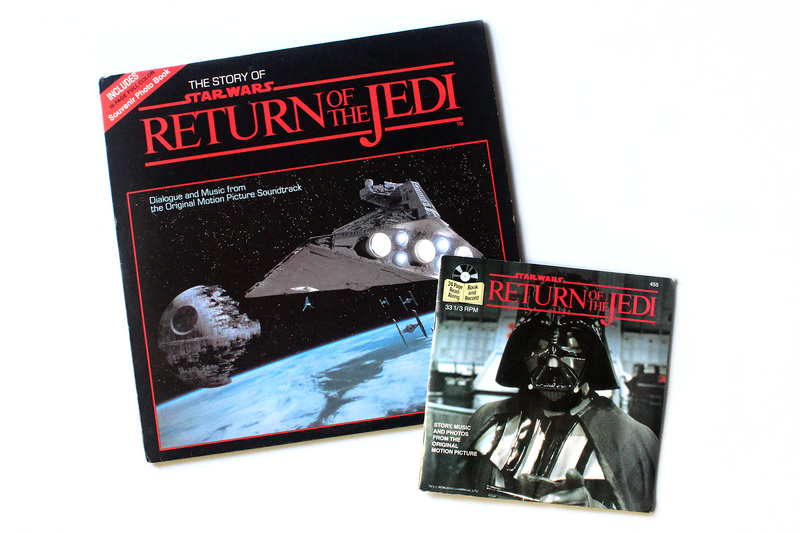 The LP format abbreviated the storytelling a little to fit in to the technical capacity of the analogue system, but the production was still very immersive and well received by kids and families of the ’70s and ’80s. 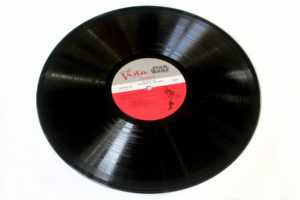 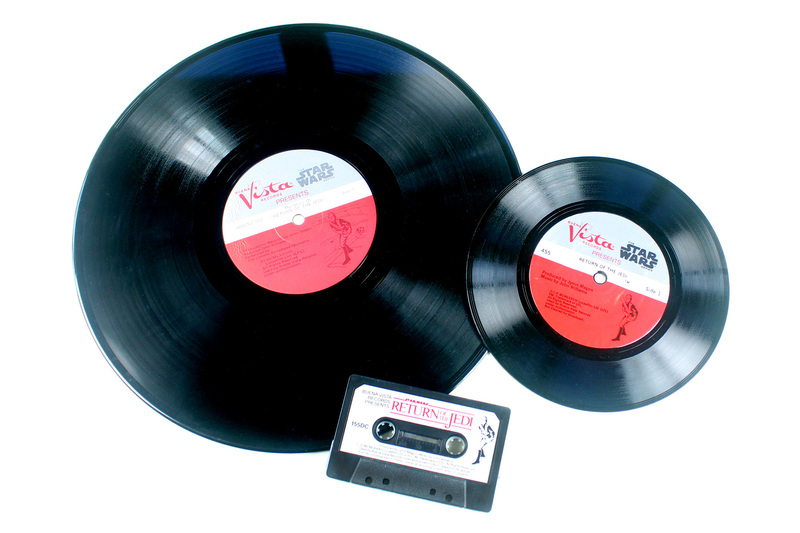 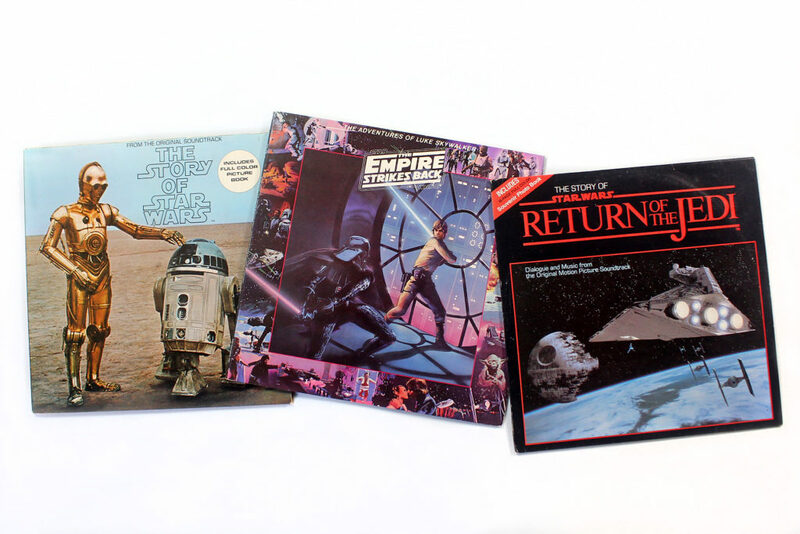 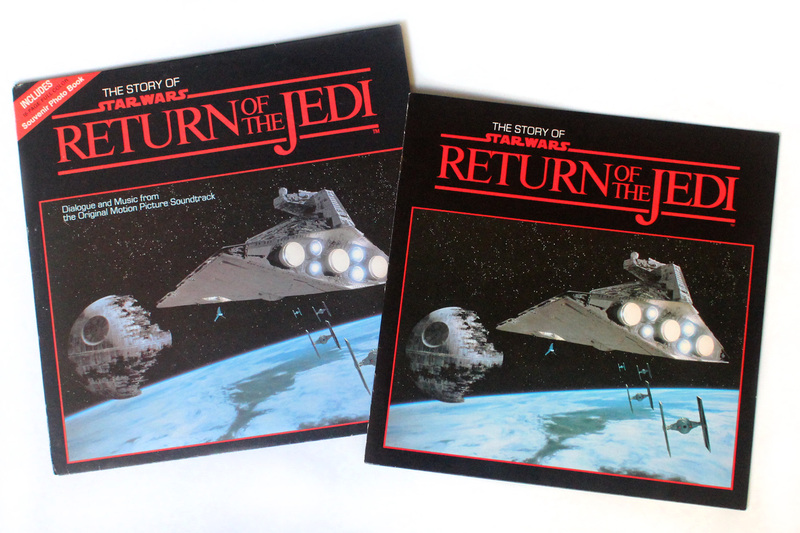 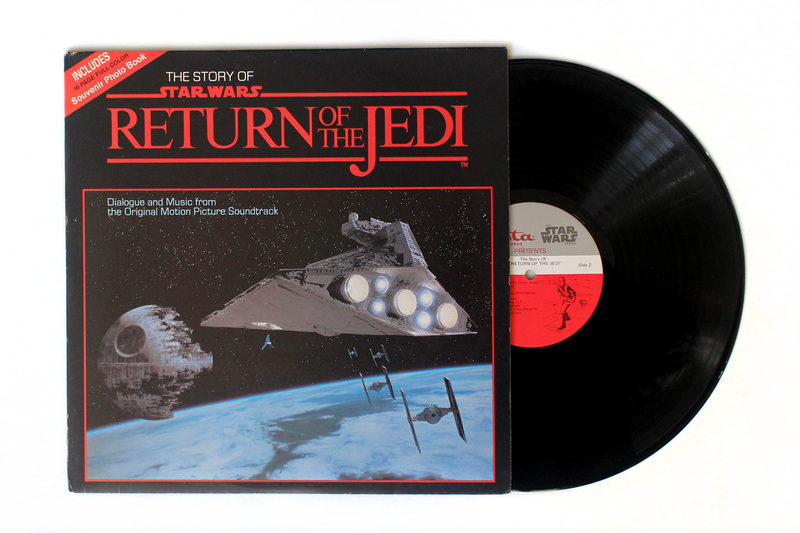 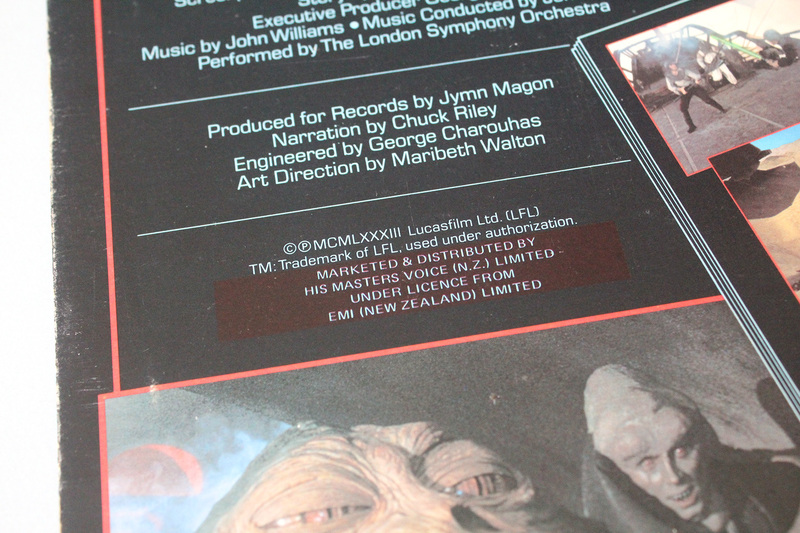 Buena Vista Records, the US company behind the original recording and production of the Story of the Return of the Jedi LP, also made the simplified Read-Along versions, available in the smaller 33-1/3 RPM record and cassette formats.